There can be a number of reasons why a house is cool in winter with the furnace running all of the time. The fundamental reason it is running more often is that it cannot meet the needs of your home. It can be due to a furnace not sized properly. In other words, it was sized too small for the home. 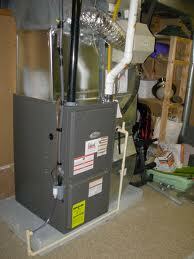 Furnace suppliers typically will assess your home based on square footage. Also whether it is a two story home or a single story home. They assume that it has standard insulation and will install a furnace that meets these requirements. The furnace provider can actually make a mistake and size it to small for the home in an effort to save money for the consumer, however they know this will be a problem later on and seldom take this approach. A poorly insulated home will leak heat like a sieve. Poor insulation in the ceiling and the walls means that you are losing a lot of heat that the furnace must replace. The colder it is outside, the more heat that is lost and the furnace must run more often. The same applies to your windows. Fifty years ago single pane windows were popular. Later on companies added double pane windows to improve the insulating value of these windows. They then added argon between the windows which is an inert gas that conducts heat much less than even normal air. Well insulated homes have these types of windows and sometimes even triple pane windows. Also insulation around the windows is much better and more thoroughly installed. Doors also allow the heat to escape. If your door does not meet proper standards in terms of heat loss then you could be losing a great deal of heat this way as well. Make sure there is also adequate weather stripping around the doors to prevent heat loss. These are the main areas to look at to prevent heat loss, reduce your furnaces running time and save you money which is what this web site is all about. Consumers can also insulate outlets that are on walls that face the eternal part of your home. Typically, there is no insulation behind these outlets. Keep your windows closed. Your furnace has a fresh air intake. Have your home tested for tightness? 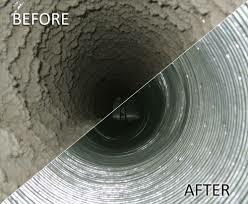 This involves pressurizing your home and examining where air can escape. Plugging these areas will also help to reduce the heat loss. Some governments will help pay for these services to promote energy reduction. For more information about Reasons Why a House is Cool in Winter With the Furnace Running all of the Time and ways to save money click here. 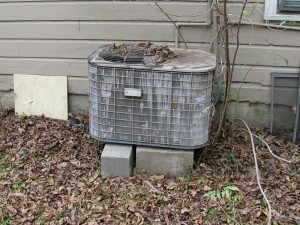 We contacted our Real Estate Agent about whether we should purchase or lease furnace and AC unit. His answer follows and is quite enlightening. Basically you are going to pay for it one way or the other and it is up to you just how you want to do it. Some alternatives are more economic than others. After reading his answer decide for yourself based on your own situation. In terms of the real estate sales side of things, it is presumed that the furnace and A/C are bought and paid for by the seller. If they are rented then the buy out is the key # required. At time of transfer of the deed it is expected that the seller will pay for it. I think that you need to examine that and look at different scenarios. What if I had to sell the house in 3 years, 5 years 7 years or 10 years, what is the cost to ‘pay off’ the contract. You are suggesting that you will remain in the house for the next 10 – 15 years. Life changes on a dime and maybe you will be facing family or personal instances where you must sell. So somehow you have to factor that into your decision making. Bottom line is that everything boils down to price. Your home would be priced accordingly – to market conditions. Also conditions of the home along with the features and chattels etc. so, you are going to end up ‘paying’ either now or later. Many of the homeowners on our street used the same guy someone had found. He is a one man band so to speak, and he sells, installs and services the Goodman brand. When we bought, it had a 10 year guarantee which has paid off for us. We had the burner unit replaced in the furnace at about year 9. It works for us and him because he gives us all a great price on annual cleaning etc. and does everybody the same day for cash. So that’s another bonus for him. It’s a tough question to deal with – as the homeowner you are looking at a good chunk of change to make it happen. Just be sure that on the rental lease scenario, you are well aware of the buy out costs. Also transfer costs / obligations conditions etc. Hope this helps and hasn’t muddied the waters! For more energy saving ideas, click here.